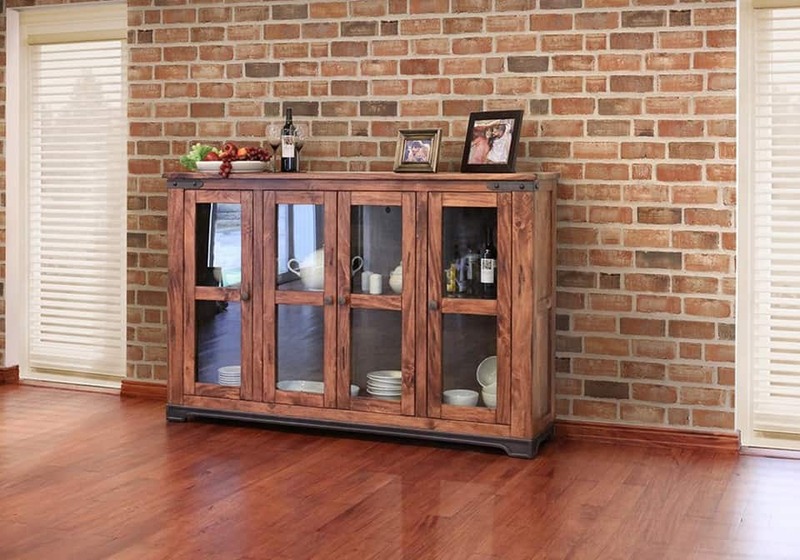 Constructed from solid wood, this versatile storage piece can be just the piece you need in your dining room, kitchen or anywhere in your home where you want to add a warm and rustic looking piece. Storage space is a plenty in the shelving behind the glass doors. 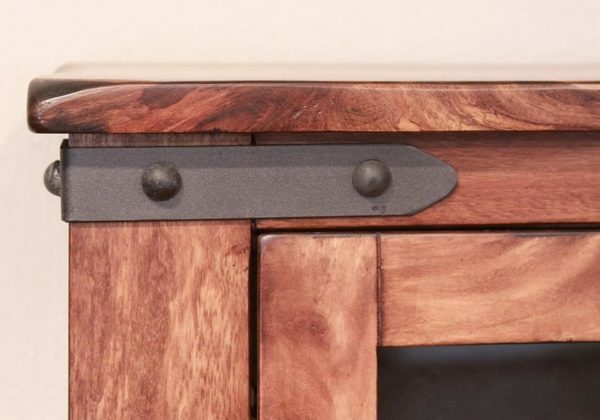 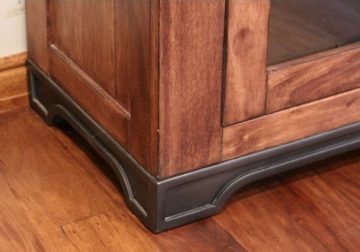 Rustic style is created from the warm wood finish that features burnishing as well as the iron accents along the base and side of the console.